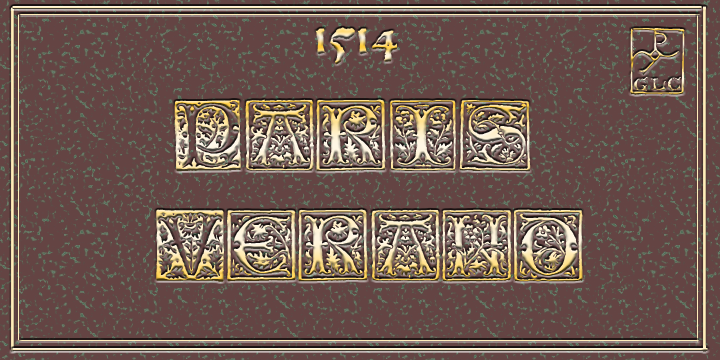 This French inspired font which was used in 1514 is highly decorative and GLC has updated the complete set.1514 Paris Verand which was installed while printing “Triumphus translatez de langage Tuscan en François” by the printer Barthélémy Verand. The lacking letters have been added by the publisher and now they provide a complete set for its very decorative looks in either website titles, posters or titles in presentations related to ancient areas. A proper care has been taken to provide good support for enlargements and its concatenation with other fonts without anachronism.